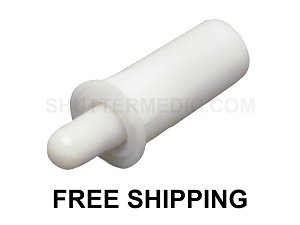 Order Shutter Tension Pins for your interior wood shutters. 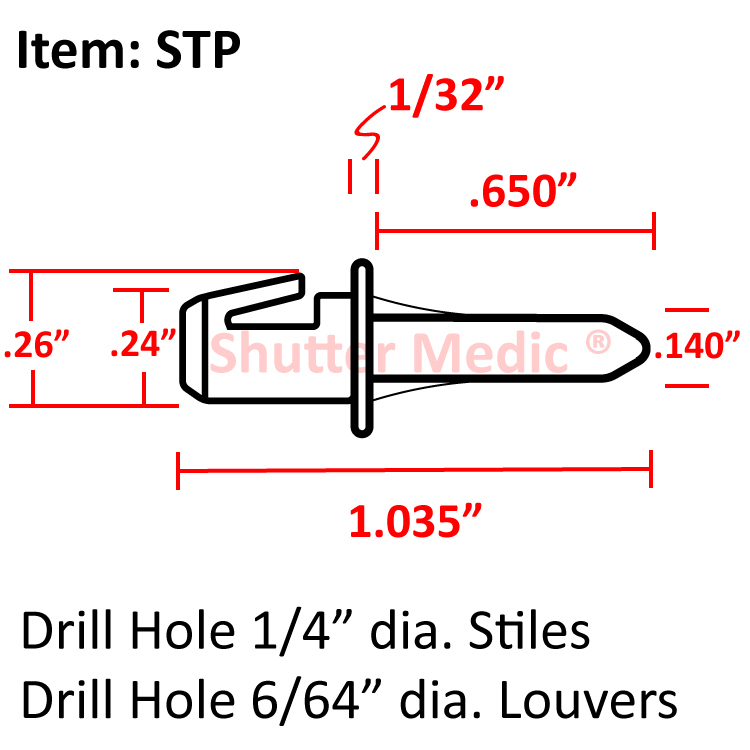 Shutter Tension Pins are utilized when constructing new plantation shutters. These pins eliminate the use of tension screws when constructing shutters. They support the louvers in the shutter panel, and allow the louver to rotate. The narrow end of the nylon pin is inserted into the louver. The larger end of the nylon pin is inserted into the stile or frame. A washer is molded into the pin which prevents the louver from rubbing the inside of the shutter stile allowing for smooth operation of the louvers. Two fins are moulded into part of pin that is inserted into the louver. A spur is moulded into the other half of the pin that is inserted into the shutter stile. The spur and fins are designed to prevent the louver from moving freely. It is generally only necessary to install these pins on two or three louvers in a panel. I have not used the product yet, but i firmly believe in it! I bought the a bit ahead of time for I am intending to start this business- the shutter making business - for the first time, and so I wish they'd live up to my expectations! Product was just as advertised and did the correct job without complaining. shutter fell down and the side rails came off. Had to replace pins. The tension pins worked great! Now the shutters remain in position and don't slip down. Price was incredibly reasonable and shipping fast.